Ah! 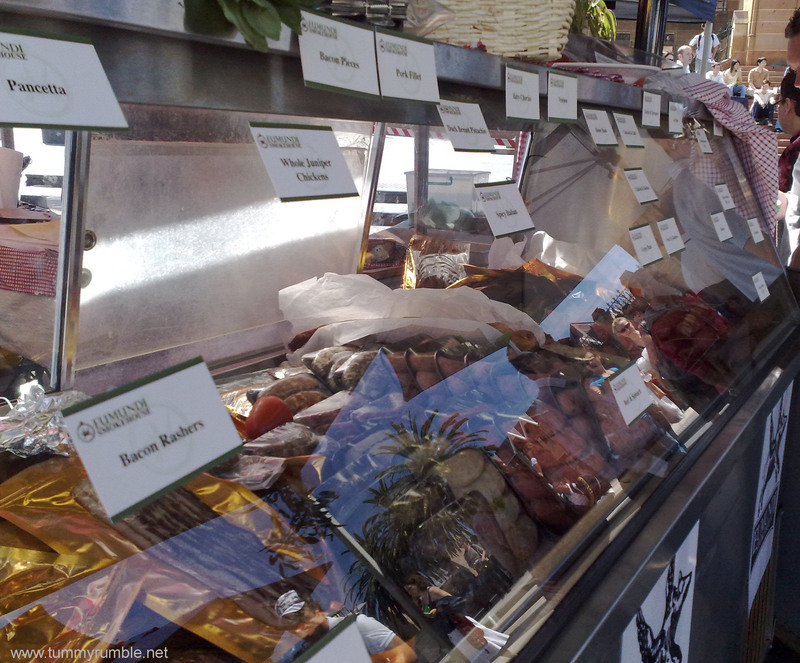 what a glorious day, and the most perfect day for market going. After three weeks of trying to head over to these new markets I finally made it. 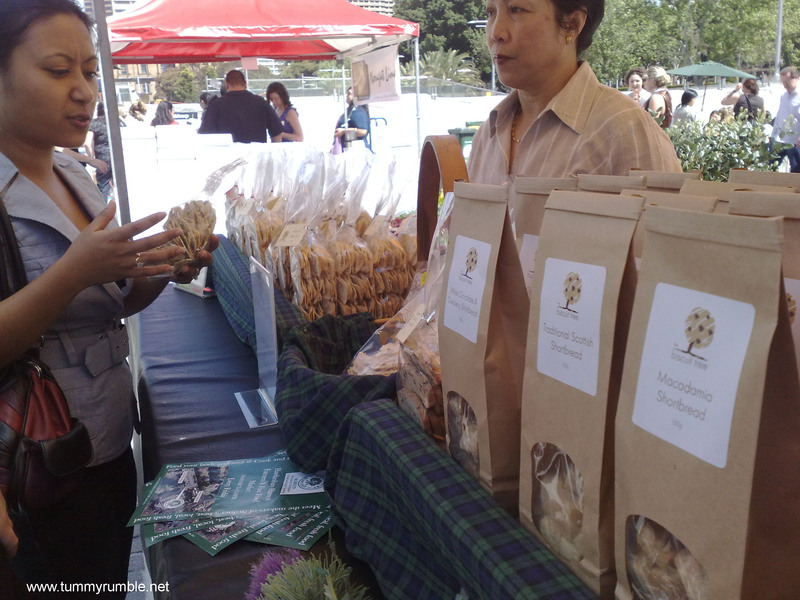 Located in front of St Mary’s Cathedral, at Cook and Phillip Square these markets are much larger than I expected. So I get on down there and the first thing I see is 1 whole stall dedicated to all things red. What does that mean? Tomatoes, capsicum and strawberries. Gorgeous! So, I hold my wallet close as I wander around, resolving to do a lap and see what’s on offer before laying down any cash for anything. 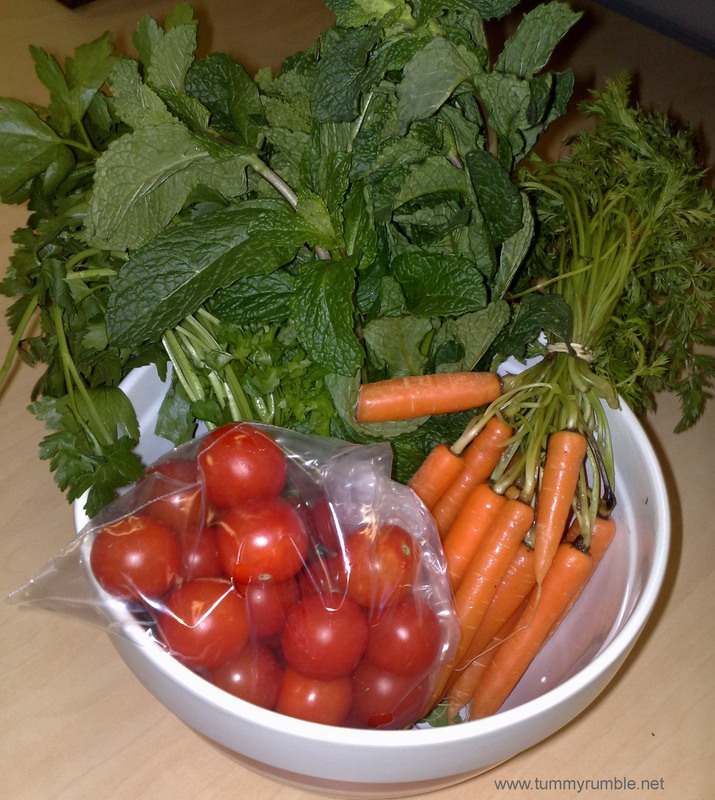 Now, I already have some things that I need as I’ll be preparing for a picnic tomorrow, basics like some parsley and mint and cherry tomatoes are on my list, so I keep an eye out. There are a delicious range of chocolates, biscuits (including gluten free) and other treats..I’m particularly taken with the Florentines.. 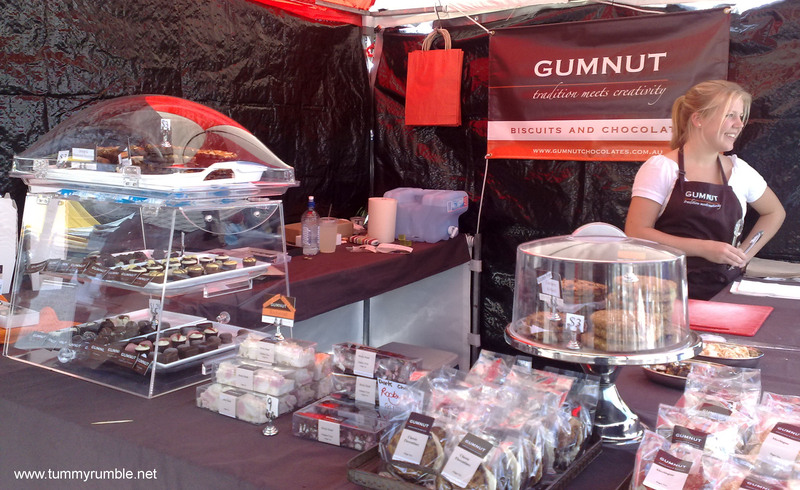 There are many prepared food stalls also, with tables and chairs scattered about. Perfect for lunch, though as the markets are in the forecourt of the Cathedral it’s fairly exposed, hence the extra shade stands that some of the vendors have, but this doesn’t cover the people sitting in those spots. It seems that people are gravitating towards the steps of the Cathedral to eat their lunches in the shade with the view over the markets. 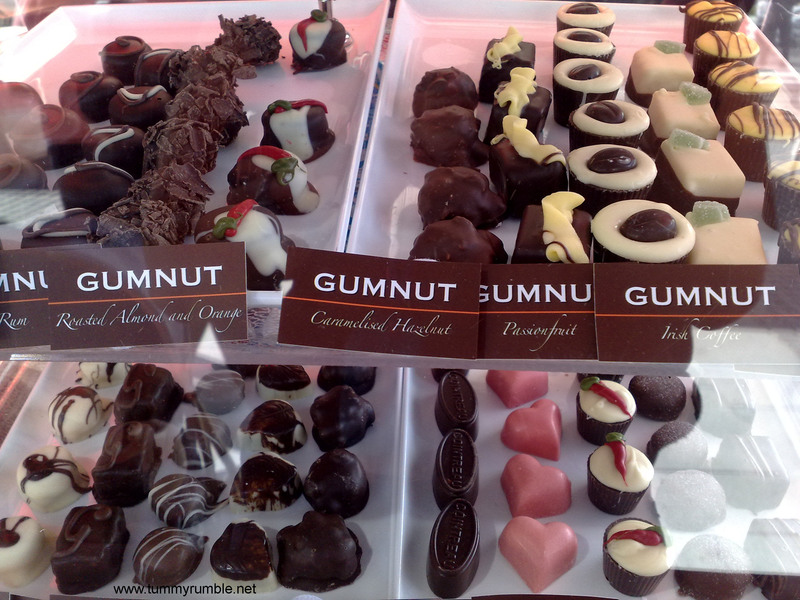 There’s a great mix of fresh food and other treats, and then I stumble upon ChocolateSuze! Another food blogger and Proprietress of The Biscuit Tree I’m so excited that I’ve finally met someone whose blog I look at all the time! 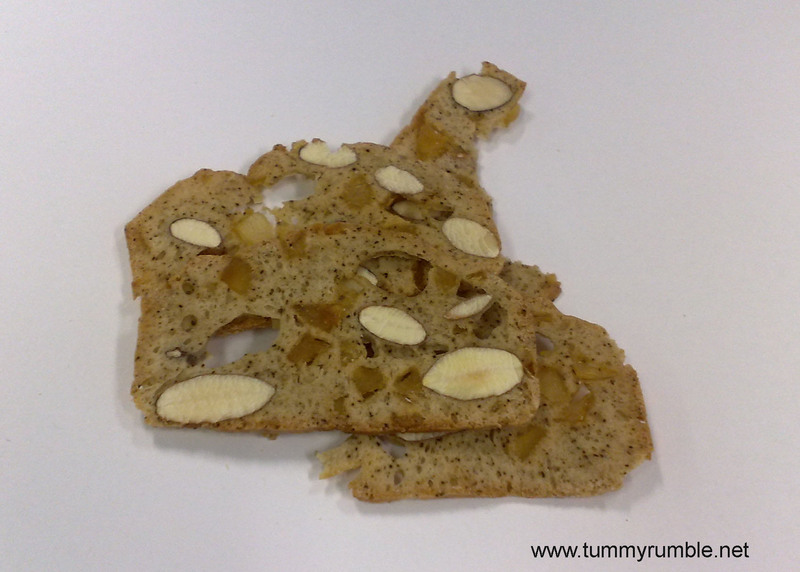 So, Suze quickly gives me a taste of her yummy creations and I take a bag of the ginger biscotti back to the office.. I end up eating all the biscotti (of course after sharing around the office) at my desk with a coffee I picked up on the way back…yum! 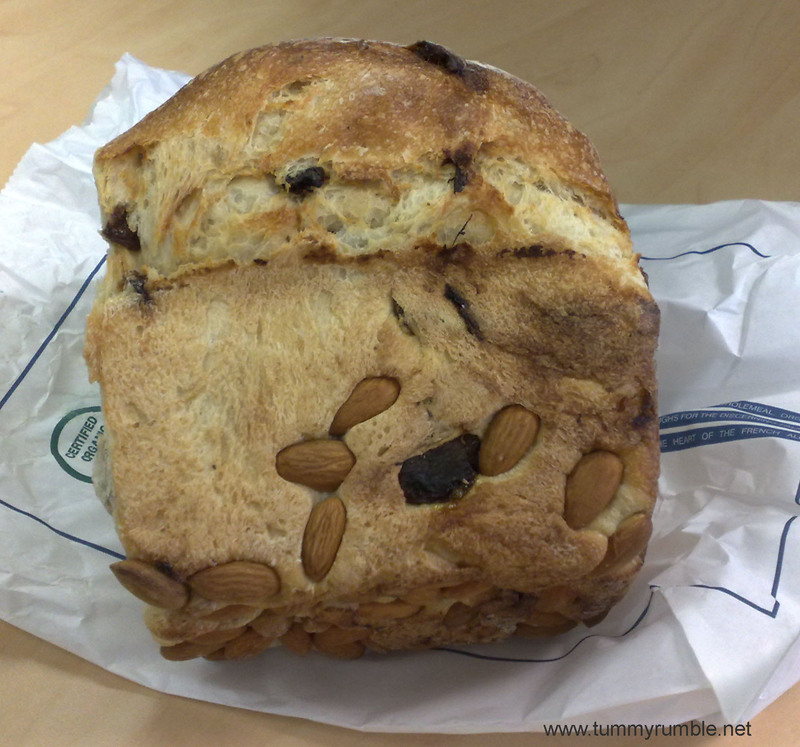 So having done the rounds I head back and grab my parsley, some gorgeous cherry tomatoes, mint, and baby carrots…along the way I also pick up a fruit loaf from La Tartine! 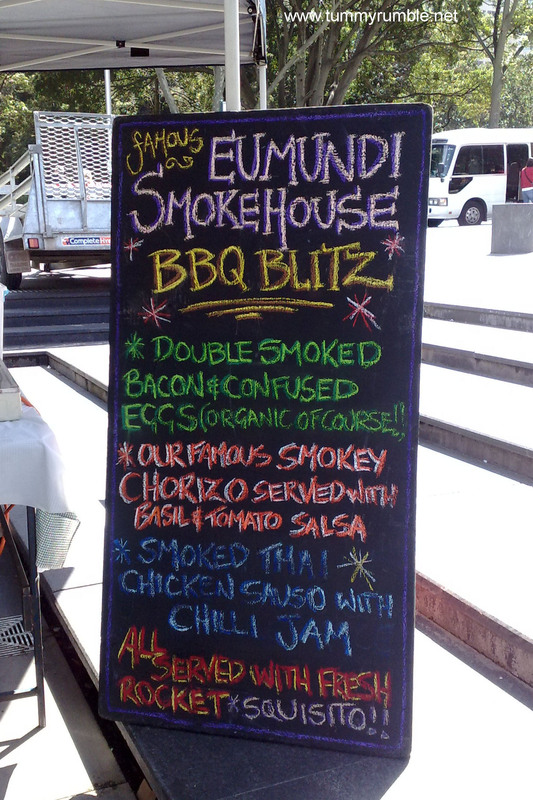 I then head over to the Eumundi Smokehouse to grab my favourite Lamb Merguez sausages. But alas! They’re sold out! I then ask about any of the rissoles, and no, nothing. That’s ok, I’ll grab some at the Growers Markets next weekend. Eumundi are also doing lunch, and if I hadn’t already eaten I would have grabbed something from there as it all smelt so good! 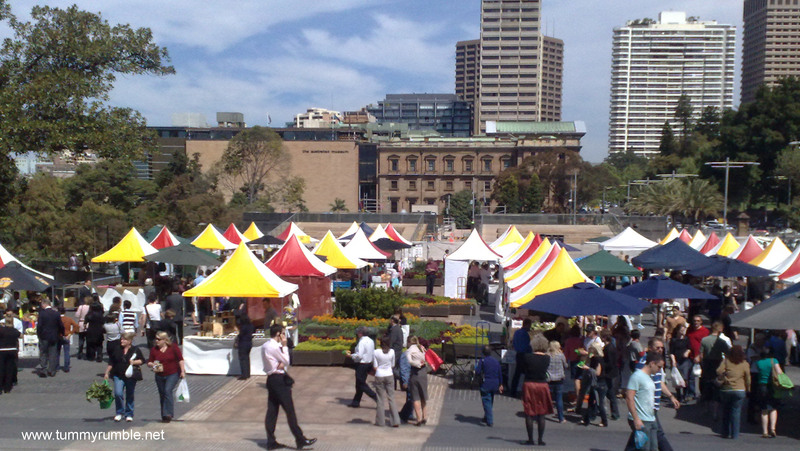 These markets are most fabulous, and apparently better than the new Rocks Markets. I’ll definitely be back here to stock up on goodies in the future! yay thanks for the visit dude!